A stunning 16 night fly drive holiday visiting New York, Boston, Jackson, Stowe, Springfield, Sandwich, Toronto concluding at Niagara Falls. 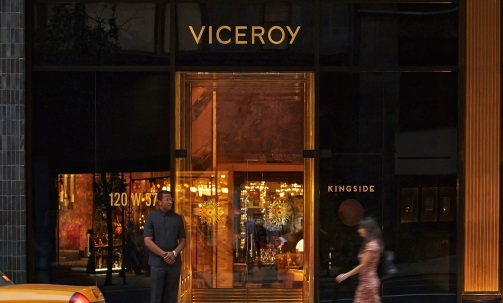 "You've arrived" After collecting your luggage and clearing US immigration make your way into New York and the Viceroy Hotel, a midtown Oasis with Downtown Allure, this is to be your home for the first three nights of your exciting America fly drive holiday. “New York, New York” so good they named it twice - New York is one of the most exciting and cosmopolitan cities in the world. It is often called the city that never sleeps. In fact, Times Square at midnight seems more vibrant and active than most other cities at noon. New York has many tourist attractions like the Statue of Liberty, the United Nations headquarters, the Empire State building and over 300 museums. It is renowned for its wide variety of entertainments including the world famous Broadway theatres. There are over 30,000 restaurants in New York City plus countless bars and clubs. If you like big cities and lots of excitement, the Big Apple is a great place to visit. Viceroy New York redefines midtown by combining the pulse of the city’s heart with the cosmopolitan spirit of uptown, providing guests with exceptional New York City views, superbly tailored accommodations and distinctive service. The building’s innovative design, luxe amenities and ground-breaking culinary offerings make Viceroy New York an unparalleled choice for stylish travellers and savvy professionals. Luxury Accommodations at Viceroy New York - In a metropolis like New York City, the bright lights can be a lure that’s hard to ignore. Viceroy New York has been designed to provide an elegant haven from the hustle of the city’s pulse, providing comfort, repose and superlative service. Culture-seeking visitors and stylish business travellers will embrace Viceroy’s cosmopolitan oasis while knowing the excitement of Manhattan is just outside the door. Kingside Restaurant - Kingside, located on street level of Viceroy New York, features Chef Marc Murphy's interpretation of New American Cooking, alongside Gerber’s renowned bar program of handcrafted cocktails. If the pace of the city isn’t enough to increase your heart rate, seek out Viceroy New York’s Fitness Centre for an invigorating workout or stress-relieving session. Viceroy’s signature emphasis on breath, beauty and balance encompasses a philosophy for holistic well-being, and the Viceroy New York Fitness Centre offers more than just the traditional indoor gym experience. Time to pack your bags, today you're leaving New York behind as you make your way to Penn Station to catch the Amtrak train to Boston Back Bay Station. On arrival in Boston make your way to the Hilton Back Bay hotel ideally located in the heart of the city's most picturesque neighbourhood, we are suggesting the Hilton for your 3 night stay in this dynamic and exciting city. Boston offers a wealth of activities to satisfy the interests of young and old alike; sightseeing, shopping, fine dining and exciting nightlife. If you want to explore a good starting point is the Freedom trail, a 3 mile historic walk that takes in all the main sights. Alternatively board one of the sightseeing trolleys; you can jump on and off as you wish if you see something that takes your interest. The family may enjoy a Duck Tour and the shopaholics a morning in Copley Square, a boat trip out into the harbour is always a popular attraction. The Hilton Boston Back Bay hotel in downtown Boston is ideally located in the heart of the city's most picturesque neighbourhood just steps away from everything Boston has to offer. You will find the most popular things to do in Boston including cultural and tourist attractions as well as prime business centres and the best shopping, dining and entertainment options right outside the Boston hotel's door. Guest rooms are finished in shades of brown and soft teal with dark wood accents and furnished with the Hilton Serenity Bed, you may never want to leave. Upper floors feature spectacular panoramic views of the downtown Boston and Cambridge skylines. 390 well-appointed guest rooms featuring one king or two double beds ranging in size from 300 sq. ft to 375 sq. ft.
32-inch flat panel LCD high-definition TV with premium channels including HBO®, CNN, ESPN and NESN, in-room movies and OnDemand® video games. Well-appointed bathrooms with marble-topped wooden vanity, extra deep tub and the La Source amenities created exclusively by Crabtree & Evelyn. Large work desk with ergonomic chair. Wireless high-speed Internet access is also available for your convenience. Daily fees apply. Dine in casual comfort in FORTY DALTON, offering uniquely inspired cuisine combining fresh local ingredients with innovative interpretations for breakfast, lunch, and dinner. Relax with your favourite beverage in the lounge while watching your favourite game and enjoying some lighter fare. The wine list includes an extensive list of American and International selections. After this mornings breakfast it’s time to pack your bags and make your way to the car hire location in downtown Boston to collect your hire car. You will need a valid full UK driving licence as well as a credit card. Make sure that you are fully familiar conversant with the vehicles controls and USA driving regulations before embarking on your Journey. Your destination is Jackson a distance of 132 miles, an approximate driving time of 2½ hours. Merrill Farm Inn is a quintessential New England Bed and Breakfast hotel nestled among beautiful trees and lovely landscaping along the Saco River on seven acres in North Conway, NH. The resort features 60 different guest suites in a wide range of accommodations: from quaint original inn rooms to more modern hotel rooms, to luxury suites, spacious family lofts, and individual rustic cabins. 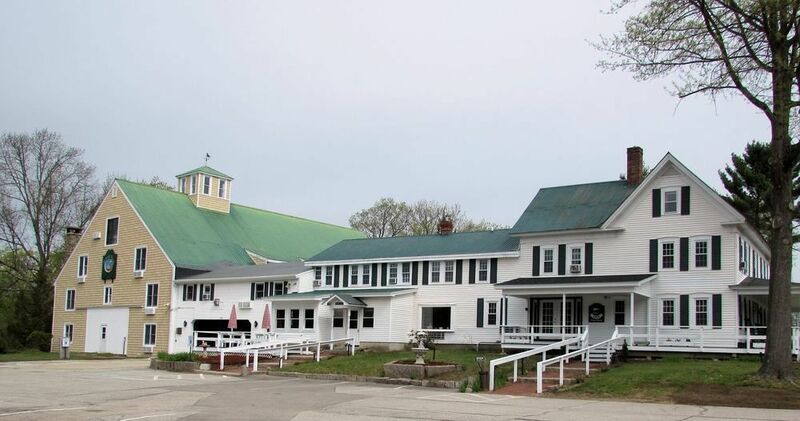 Merrill Farm Inn is known for warm hospitality and quality service that will make you feel at home. 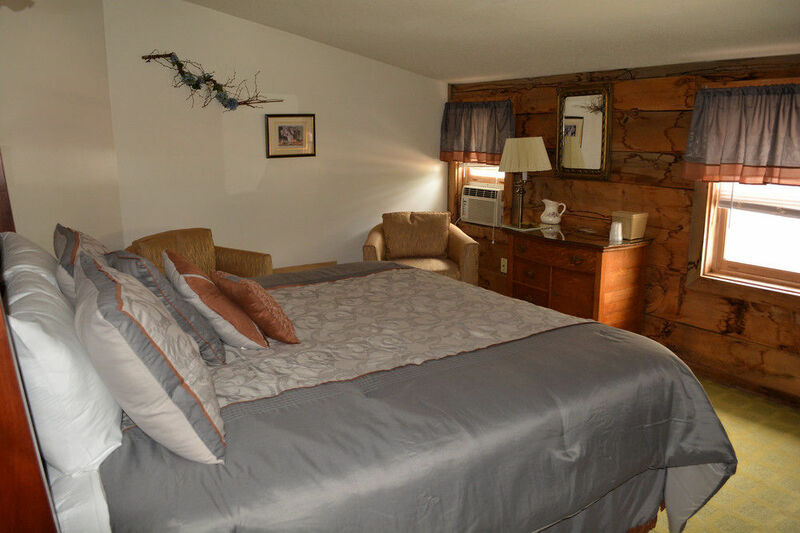 As an independent family owned resort located just south of the heart of North Conway, NH, the tranquil country charm will add to your enjoyment to a restful getaway. Nothing beats the romantic New Hampshire Bed and Breakfast. 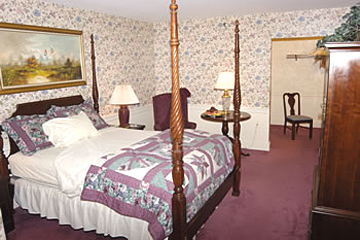 Their Inn rooms are what make this quintessential New England Inn. Each Inn Room is located in the original farm house dating back to the 1800's. The modernisation of each room gives guests the luxuries they deserve at a price they can afford. They have taken the time and care to decorate each Inn Room in fine details and charm. Inn Rooms range in décor from the Bear Room to the Blue Room. All Rooms are so unique and stylish we they named each one after classic authors from years gone by. Every Inn Room has its own private bathroom as well as a mini-refrigerator and a 37″ flat screen cable television . The modern appliances are not in the bathroom that would be too crowded. The outdoor amenities are a great way for families and couples to relax and enjoy the New England charm. 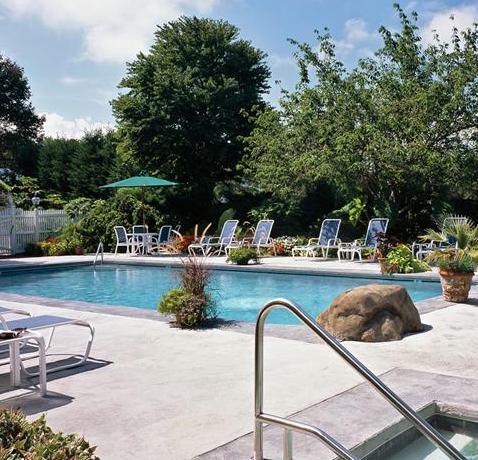 Relax by the pool or by the Saco River, enjoy a nice cookout on the Barbecue Grills and have s’mores by the fire pit. The Gazebo and picnic tables are a great place for guests to socialise. For the more athletic guest they have canoes and tubes for a trip down the Saco River. From Jackson to Stowe, though Stowe enjoys an international reputation as a winter destination, it is just as exciting in summer. You'll be surprised at how much there is to do in Stowe, Vermont. You can visit Vermont's number1 tourist attraction: Ben & Jerry's Ice Cream plant, a Mecca for lovers of premium ice cream. Take a tour of the facility and can watch those delicious flavours being made. Samples and gifts are available. Not far up the road are a number of speciality food shops: Cold Hollow Cider Mill, Green Mountain Coffee Roasters Visitor's Centre and Cafe, Lake Champlain Chocolates, Cabot Creamery Annex, plus maple syrup and other goodies for which this part of Vermont is famous. At the Cold Hollow Cider Mill you can watch them making cider from local apple orchards, and sample unique mustard's and jams for which they are famous. There are antique shops and craft outlets too. The drive from Jackson to Stowe should take you about 2½ hours; it’s a distance of 120 miles. For your two nights in Stowe we have selected the Green Mountain Inn. The Green Mountain Inn is ideally situated in the heart of historic Stowe Village, offering guests the true flavour of classic New England. Just outside the door are unique shops, galleries, restaurants, historic buildings and the award-winning Stowe Recreation Path (ideal for walking, biking, rollerblading, cross-country skiing and snowshoeing).Stowe offers outstanding outdoor activities, events and attractions year-round, making it a world-class vacation destination. In winter, enjoy skiing and riding at the Stowe Mountain Resort, the largest network of cross-country ski trails in the Northeast, snowshoeing, sleigh rides, ice skating, sled dog tours, snowmobile treks and more! The warm wood tones and fresh flowers in the lobby of the Inn give way to country elegance in the living room, where guests often relax and relive the day’s activities over a glass of Vermont cider and homemade cookies. Comfortable sofas, soft light from stoneware lamps, and inlaid games table for checkers or chess, a crackling fire, classical music in the background -- nothing could be more inviting! Amenities at the Inn include a cosy library and living room, two acclaimed restaurants, a fully-equipped health club with Jacuzzi, sauna, game room and a year-round outdoor heated swimming pool. The Inn's main restaurant, The Whip Bar & Grill, serves lunch, dinner, and Sunday brunch. Boasting Stowe's first liquor license, an impressive collection of antique buggy whips and a brass dumbwaiter, The Whip Bar & Grill has a long history as Stowe's most popular gathering place. The hotel takes pride in providing excellent food at a good value in a warm and friendly atmosphere. In response to the increasing number of health conscious diners, they offer creative vegetarian and healthy menu choices. Today’s destination is Springfield, a 3 hour 195 mile journey from Stowe. Known as the Birthplace of Basketball, the city of Springfield celebrates its heritage at the Naismith Memorial Basketball Hall of Fame, where hands-on exhibits relate the history of this popular sport. Besides basketball, the Springfield area also boasts other exciting attractions and annual events. History enthusiasts enjoy exploring one of the city's many museums, including the Hatikvah Holocaust Education Centre, the Springfield Science Museum and the Museum of Fine Arts. Children and adults alike appreciate the Dr. Seuss National Memorial Sculpture Garden, which commemorates the famous author that was born in Springfield in 1904. Six Flags New England, located in nearby Agawam, features ten roller coasters among other thrilling rides and is a fantastic family attraction. 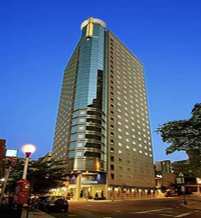 Tonight you will be staying at the Sheraton Springfield Monarch Place Hotel. The hotel is located in the heart of downtown Springfield on the banks of the Connecticut River and provides convenient access to Interstate 91. Springfield’s largest hotel is conveniently located in the heart of the city, just minutes away from the Basketball Hall of Fame, Six Flags New England, and Eastern States Exposition. Find yourself inspired by the breath-taking views of the Connecticut River. Retreat one of 325 freshly-updated guest rooms, filled with convenient amenities like High Speed Internet Access, ample work-space, and ergonomic chairs. Plus, in-room dining and the Sheraton Sweet Sleeper® Bed make relaxing effortless. Fresh coffee is also on hand to make greeting the day a bit easier. The hotel has two on-site dining options. The Picks Restaurant serves American cuisine in a casual dining environment. The MVP Pub is a sports bar. Now you can enjoy The Link@Sheraton Experienced with Microsoft®, a connectivity hub in the heart of the Sheraton lobby. Feel free to surf the web on the terminals for complimentary High Speed Internet Access. 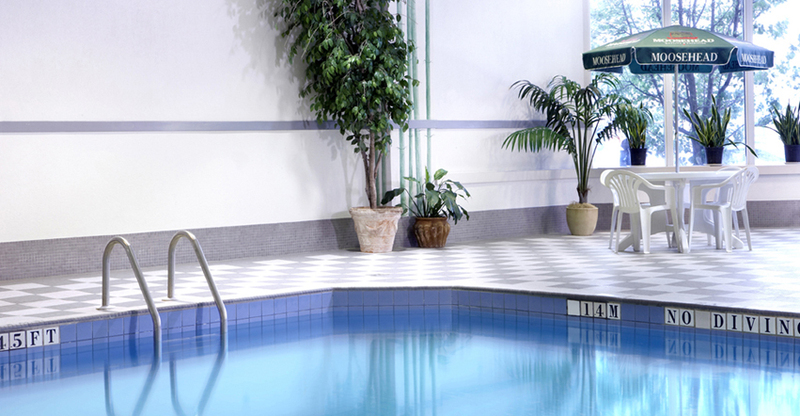 The complimentary health club at the Sheraton Springfield is ranked at the top of western Massachusetts' health clubs. State-of-the-art exercise equipment, a heated indoor pool, steam room, sauna, and massage therapy truly make this a great experience. Today you will be crossing the bridge to Cape Cod and spending the next 2 nights the Dan’l Webster Inn & Spa, the centrepiece of the oldest town on Cape Cod. 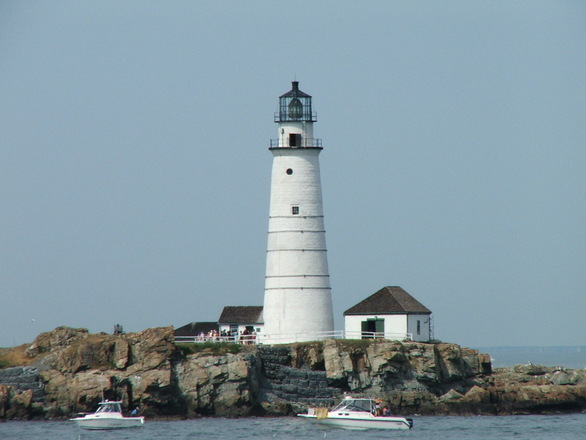 Things to do Wet & Dry - Jutting 65 miles east and north into the Atlantic Ocean, this narrow spit of land is surrounded by three bodies of water: the Atlantic Ocean on the east, Cape Cod Bay on the north and Nantucket Sound on the south. With 560 miles of gorgeous sand-duned beaches and numerous ponds, water activities are plentiful: fishing, boating, windsurfing and whale watching are all popular pastimes. As the centrepiece of the oldest town on Cape Cod - Sandwich, the inn has offered Cape Cod lodging for over 300 years. Today's visitors of this boutique Inn on Cape Cod are treated to the romance of the past with today's conveniences. Canopy and four-poster beds, fireplaces and oversized whirlpool tubs await your arrival. Each of the 48 guest rooms and suites are individually appointed with exquisite period furnishings. Luxurious fireplace suites feature oversized whirlpool tubs, balconies, heated tile floors and the exclusive Suite Dreams Experience providing pampering amenities. 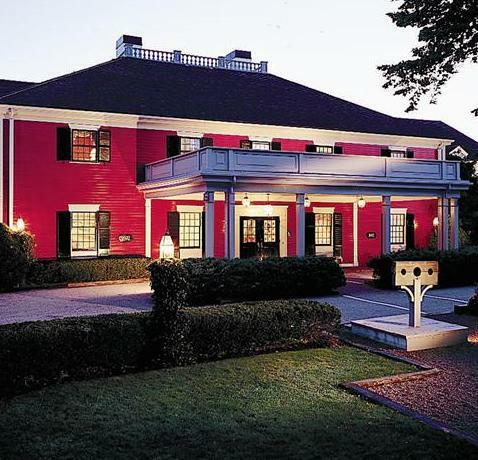 Named one of the "Distinguished Inns of North America" by Select Registry, The Dan'l Webster Inn & Spa is the perfect destination for your Cape Cod vacation, business gathering, wedding or simply a quick Cape Cod getaway. The exquisitely manicured grounds showcase unique blooms throughout the seasons. For your convenience, the entire Inn is accessible to wireless internet connections. The boutique Cape Cod Inn reflects the essence of true Colonial charm and casual elegance with many rooms featuring hand-carved canopy and four poster beds, working fireplaces and whirlpool tubs. All guest rooms offer the welcomed accommodations of today including: private bath, telephone, air conditioning, cable television, turn-down service, coffee maker, and a complimentary weekday newspaper. Traditional favourites share the menu with contemporary cuisine. Four lovely dining rooms offer a choice of settings; candle-lit rooms, fireside dining in the Music Room or garden side dining in the sun or moonlit Conservatory combine with outstanding service and innovative cuisine to produce a positively exceptional dining experience. We welcome guests in all our dining rooms dressed from casual to their Sunday best. 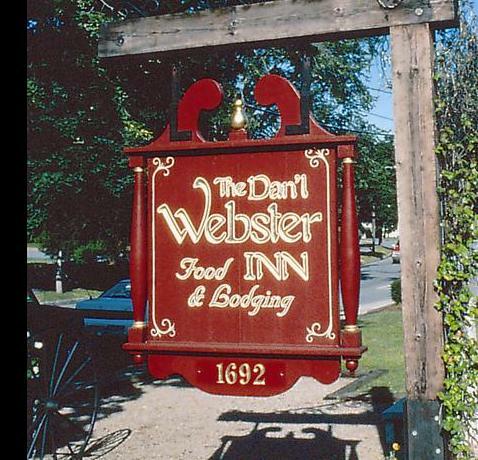 The Dan'l Webster Inn serves contemporary American cuisine from 8:00 A.M. to 9:00 P.M. daily, in season. Start your day in elegant style with a delightful Breakfast in the sunlit conservatory or any of the Dan'l Webster's beautiful dining rooms. The connoisseur's wine cellar, recipient of The Wine Spectator's prestigious Best of Award of Excellence, features wines that will please even the most discriminating guest. A short one hour 60 mile journey as you make your way to Boston airport to catch your mid-afternoon flight to Toronto returning your hire car to the location at the airport. Leaving the airport make your way to the Fairmont Royal York hotel, one of Toronto’s premier luxury hotels where you will spend your next two nights. Toronto has wonderful live theatre, rivalled only by New York City and London, England. Its restaurants and communities are diverse as a result of the variety of people who have immigrated to Canada and settled in Toronto. This can be seen in Toronto neighbourhoods named Greektown, Little Italy, Indian Bazaar, Little Poland, Portugal Village, Chinatown & others. Visiting these places is like taking a trip around the world without leaving Toronto. 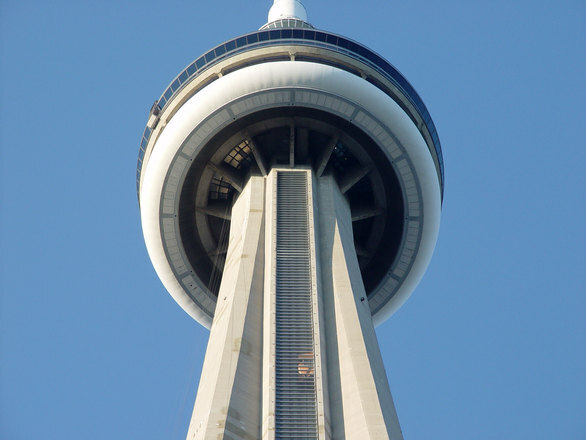 Geographically, Toronto is situated on Lake Ontario's northern shore, close to its western end. It is within a couple hours’ drive to the American border, Niagara Falls and recreational activities such as skiing, camping & hiking outside of the city. The luxury Toronto hotel is right in the heart of it all, steps away from the best nightlife, dining, shopping and other attractions. We’re conveniently located across from Union Station at 100 Front Street West within the financial and entertainment districts. Each of the 1365 guest rooms at The Fairmont Royal York in Toronto offers accommodations that are luxuriously decorated and elegantly appointed. All guest rooms are equipped with the latest business amenities including High Speed Internet Access and entertainment features such as in-room movies. For a unique experience, consider a one-of-a-kind suite. Room categories include traditional guestrooms, with elegant, comfortable decor to deluxe room accommodations with larger sleeping areas and sitting rooms. Whether it's a simple snack or a deliciously entertaining meal, every kind of culinary desire can be satisfied at The Fairmont Royal York's five exceptional Toronto restaurants and four lounges. Feast on a melt-in-your-mouth steak or sample one of the award-winning martinis - one of the city's best martinis (four years running, according to Toronto Life magazine). For something different and exciting, try Benihana and have a Japanese 'teppan' meal cooked right at your table! Today you will be transferred, by coach, from Toronto to Niagara Falls, a destination unlike any other. Niagara Falls, Canada is a destination unlike any other. 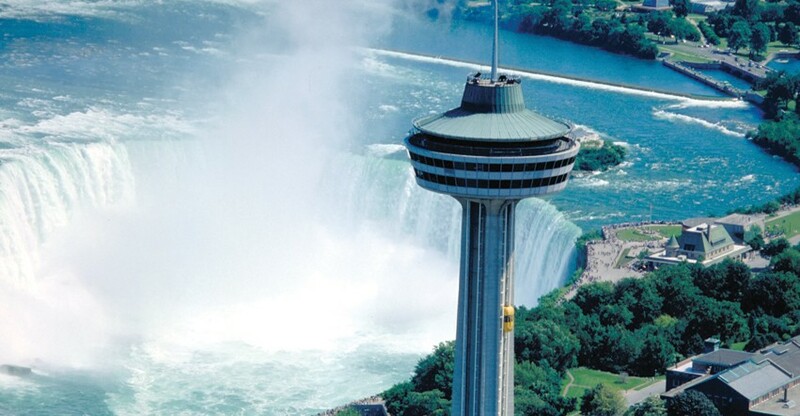 From the top of Skylon Tower (775 feet up) to the base of Horseshoe Falls (188 feet down), Niagara Falls is an awe-inspiring Ontario Canada vacation destination. The Falls give off a round-the-clock roar, a refreshing - and surprisingly far-reaching - mist, and a reminder of just how wondrous our natural world is. 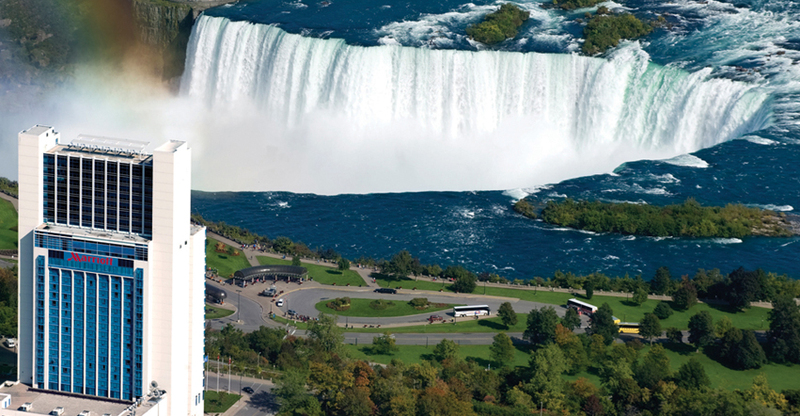 From the marvel of gazing at the Falls from innumerable look-out points to adrenaline-fuelled activities like white-water jet boats, there are many ways to experience them, including an array of Niagara Falls attractions for all ages. For those that long to get up close to the Falls, don your famous blue slicker and jump aboard the Maid of the Mist Niagara Falls to go right up to the base, walk behind them at Journey Behind the Falls, or fly over them on a helicopter ride. And that's just the beginning. Tonight’s accommodation is at the Marriott Gateway on the Falls. The Marriott Gateway on the Falls is the premier places to stay in Niagara Falls, the 32-storey hotel, which also boasts an indoor pool, sauna and whirlpool, is the proud recipient of the 3 Green Key rating and is committed to helping the environment and local community. For guests looking to experience the best that Niagara Falls has to offer, the Marriott Gateway is situated in the heart of the Fallsview Boulevard tourist district, minutes away from area attractions, world-class golf and casinos. With over 260 first-class Fallsview rooms and suites, complimented by award-winning service, the Marriott Gateway on the Falls is the perfect location for any getaway. Fallsview Milestones Grill + Bar - Exciting Fallsview dining. 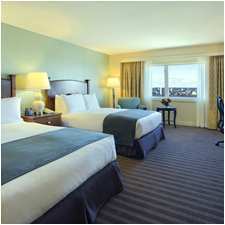 Located on the mezzanine level of the Marriott Gateway on the Falls directly overlooking Niagara Falls. Fallsview Milestones Grill + Bar is open for lunch and dinner daily. Enjoy a globally inspired menu, expert service and an amazing view! Starbucks - Starbucks is located on the lobby level of the Marriott Gateway on the Falls, this ideal location allows you easy access to your favourite Starbucks beverage at any time. Enjoy a full menu of speciality coffees, cold beverages, pastries and more. Marriott Gateway on the Falls Café Located on the mezzanine level of the Marriott Gateway on the Falls Hotel, the Marriott Gateway on the Falls Café offers a spectacular view of Niagara Falls with an equally spectacular à la carte breakfast menu. The Marriott Gateway on the Falls' Restaurant’s breakfast buffet is a popular start to your day. This Hot Buffet features fresh breakfast pastries, toast, fruit, cold cereals, yogurts, hot breakfast items bottomless coffee, tea, milk, juices and more. Sadly all good things have to come to an end, time to reflect on your experiences of the past few weeks as you marvel at the awe inspiring view of the Falls before taking your coach transfer to Toronto airport.